Compound leverage design provides better control and powerful grip for quick bending and flattening. 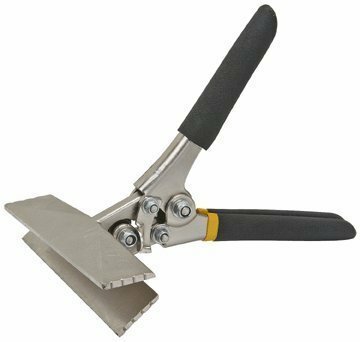 Drop-forged jaws are marked in 1/4" bending increments Heavy duty all steel construction with nickel plating finish for durability Double-dipped grip handle for added comfort Overall dimensions: Closed 8-1/4" L x 5-15/16" W x 3-1/16" H, Open 8-1/4" L x 5-15/16" W x 7-3/16" H; Jaw Depth: 1-1/2"; Jaw Width: 5-15/16"; Maximum jaw opening: 1-11/16"; Maximum handle opening: 6-7/8"
If you have any questions about this product by Pittsburgh, contact us by completing and submitting the form below. If you are looking for a specif part number, please include it with your message.